I spent 7 days in Hong Kong and spent an average of $32 a day, although I stayed with friends so did not pay for accommodation. Hong Kong is definitely not a cheap destination! I had a great time hiking around Lantau Island, seeing the famous Big Buddha and just catching up with friends I hadn’t seen in a long time. I’m not sure I’ll make it back to Hong Kong anytime soon, but if I do I’d explore more of the markets in Kowloon and hike around the new territories, which I didn’t see at all. 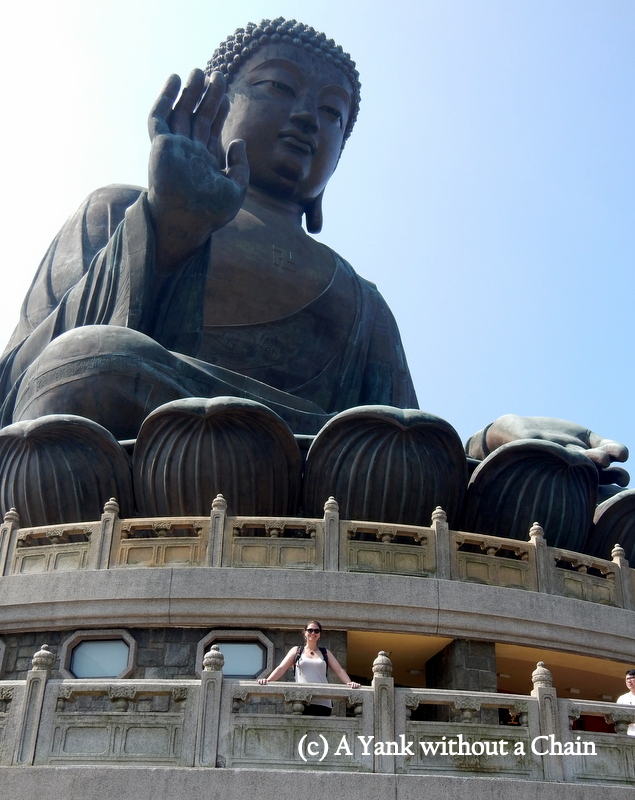 The Big Buddha is located on Lantau Island and is easily accessible by lots of buses and other forms of public transport. I was pretty excited to visit, as it’s the most famous symbol of Hong Kong. Also, it was my first week in SE Asia so the idea of a massive Buddha as opposed to a Jesus statue was a bit of a novelty. I loved the six smaller statues surrounding the Buddha – the six Devas who make offerings representing charity, morality, patience, zeal, meditation, and wisdom. The Po Lin Monastery is also an interesting place to visit, although it was under a lot of construction while I was there, and you can have a nice vegetarian lunch. The highlight of this trip though was visiting the Wisdom Path, which is a series of massive wooden columns inscribed with the Heart Sutra. The Heart Sutra is, in my limited understanding, a meditation on nothingness and is one of the most important texts in Buddhist philosophy. Set in front of Lantau Peak, the installation brings a deep sense of calm. 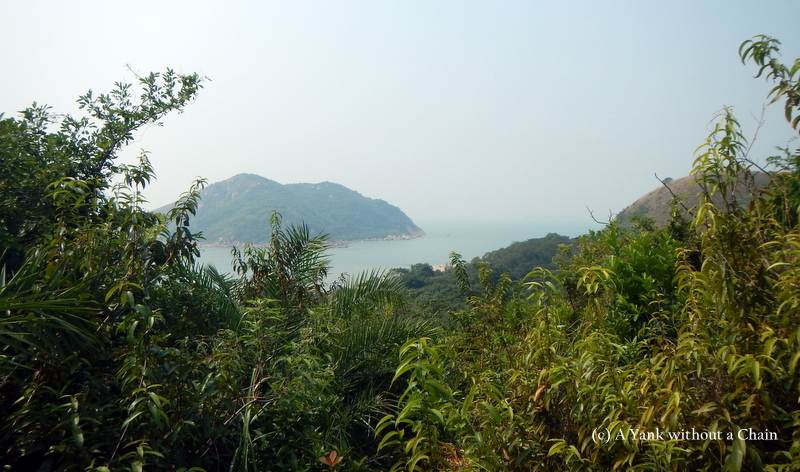 The Lantau Trail is a 70km footpath that circles Lantau Island in Hong Kong. My friends and I hiked sections 7 and 8 of the trail from Tai O to Shek Pik, a relatively modest hike that took about 4 hours. We were kept company by hundreds of butterflies and a few terrifying spiders! After a magnificent three weeks in Turkey I flew to Hong Kong to visit Jane and James, who I had taught with in Colombia last year. 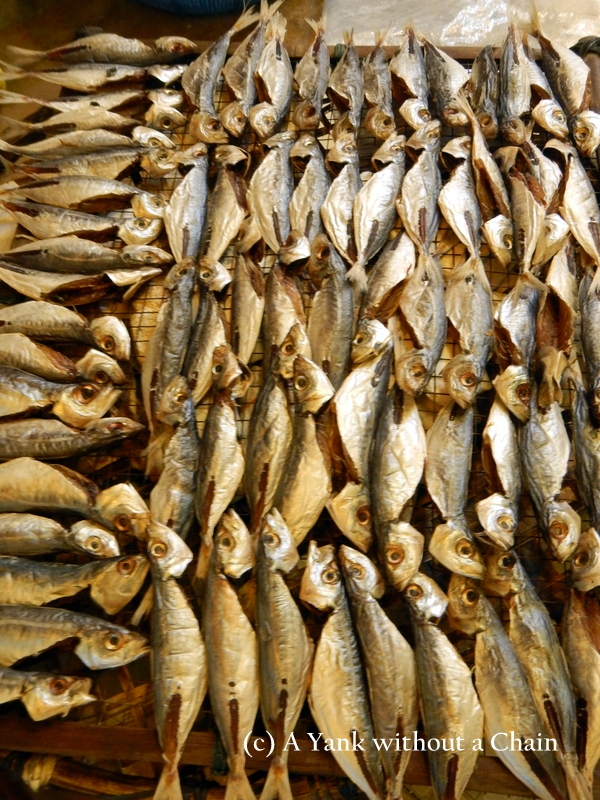 I’d never been to eastern Asia before and I tried to keep my mind open and eliminate expectations. I was glad to have some friends to show me the ropes! What surprised me most about Hong Kong was how green it is. I had images of horrendous traffic, bright lights, and crowded buses in my mind, and that is indeed true in the center of the city. But just a short ferry ride away is Lantau Island, home to long hiking trails and brilliant coastal views. The Olympic Trail is just one of these trails. From the Mui Wo ferry terminal it’s a short, clearly-signposted walk to the beginning of the trail, where you’ll be treated with the Mui Wo waterfalls. Then, you can hike up a fair number of stairs to get a view of the harbor, and then continue along deeper into the island toward Pak Mong. I branched off the Olympic Trail to take a less-developed country trail, where I found myself quite isolated for several kilometers.